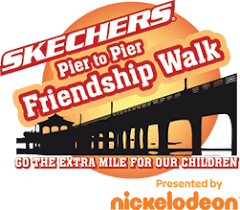 Sunday October 28 is the annual Skechers Friendship Walk! The Friendship Circle and Walk were founded right here at Mira Costa and in Manhattan Beach. The walk is from MB to HB Pier and back. The purpose of the walk is to bring awareness to the challenges of non-traditional students. Proceeds from the walk go right back to schools to support student programs. We have received hundreds of thousands from this great event. Now, all South Bay schools attend and share in the experience and it’s benefits. Over the years the walk has gone from being predominately Mira Costa and MB to this year we have 13 people signed up so far. Manhattan Beach runs the risk of this no longer being seen as a “Mira Costa and MB thing.” Proceeds are divided among the schools based on their percentage of overall participation. We need to rally today and change that! Please encourage your classes, the clubs you advise, and the teams you coach to sign up. Send emails to your parents and ask them to sign up as Costa participants. Make the day a class, club or team event. Do everything you can to get 100% sign up from your end of the campus. We encourage ASB, Link Crew, MBX, PTSA, TEAM COSTA, MUN, Mock Trial, MMN, La Vista, Hoofprints, CyberSecurity, Robotics, Solar Boat, Science Olympiad, Mathletes, Theater Tech, Reflections, CSF, NHS, choir, band, orchestra, drama, cheer, and all the clubs listed below to sign up immediately. Click on Register at the top of the website.